We are dedicated to serving the heating, cooling and indoor air quality needs of both residential and light commercial customers within the Asheville, North Carolina area. Our unique position as both a provider of heating, cooling and indoor air quality solutions as Smoky Mountain Heating & Air coupled with Asheville Oil Company’s fuel oil and propane delivery capabilities make us Western North Carolina’s one-stop source for quality indoor comfort. 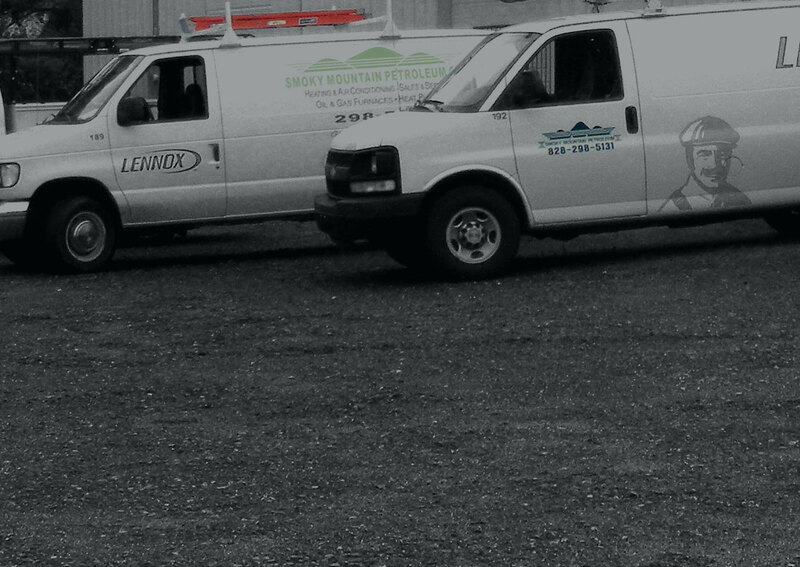 We are recognized as a Dave Lennox Premium Dealer and represent the Lennox brand of heating and cooling equipment. We are a licensed heating contractor in North Carolina (license # 03262) under the Heating Contracting, Group 3 and Fuel Piping Contracting. We can install, replace and service forced warm air and air conditioning equipment up to 15 tons in capacity. Schedules the service technicians in an efficient manner to meet the needs of our customers during the heating and cooling season. She is also who you can talk to about our Preventative Maintenance Agreements to keep your unit running efficiently. Estimating and quoting customers for replacement units along with service calls and diagnostics for repairing existing units. Our Preventive Maintenance Agreement (PMA) ensures your heating and air conditioning system operates at peak efficiency throughout the year. All major heating, cooling and indoor air quality equipment manufacturers recommend that regular preventive maintenance be performed on their systems to extend the life of the equipment, maintain warranties and keep them operating at peak efficiency. While having a technician perform regular maintenance on your system is important from the standpoint of extending equipment life, maintaining your equipment warranty and saving you money, there are some things you can do. For air conditioners and heat pumps, keep the area around your outdoor unit clear and unobstructed for good airflow. Smoky Mountain Heating & Air agrees with all major heating and cooling equipment manufacturers that regular scheduled preventive maintenance can extend the life of your equipment, maintain warranties, prevent unexpected equipment failures and save you money. To make these maintenance services as simple and hassle free as possible, Smoky Mountain Heating & Air provides their customers with an annual Preventive Maintenance Agreement (PMA) or service contract at a low annual rate that automatically tracks and schedules your needed services. Depending on your equipment and needs, we schedule one or two visits per year and perform the necessary checks and adjustments that keep your equipment operating at peak efficiency. In addition, PMA customers receive a discount on parts and labor and, more importantly, priority of service should you ever need emergency service. A copy of the agreement along with the checks and services can be found on our Preventive Maintenance Agreement. Smoky Mountain Heating & Air conducts regularly scheduled service calls and tune-ups Monday Friday between the hours of 8am to 4pm (holidays excepted). Your appointment will be scheduled as close to your desired time as possible. Unforeseen delays and emergencies sometimes impact our schedule and your patience and understanding are appreciated. The Comfort Guide walks you step-by-step through the process of diagnosing and offering solutions to many common problems, potentially saving you precious money and time. After-Hours service is available nights and weekends. To schedule service after-hours, call (828) 274-7277. Leave a voicemail with your name, address, phone number and a description of your emergency. The technician will return your call as soon as possible.